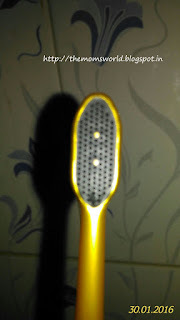 I am happy to write a review about the Colgate 360 charcoal gold brush. The attractive golden black box kindled the expectation of Dany to see what inside the box. The box had Colgate 360 charcoal gold brush and a gold cup. The golden flask was missing in the box and I hope that will be sent soon. 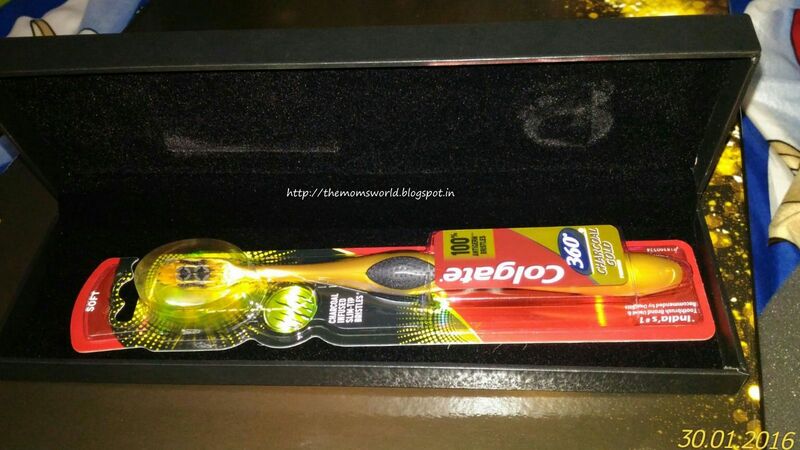 Dany eyes went crazy to see that blushing gold colour toothbrush. He immediately looked at me and I know the question dwelling in his heart. He smiled saying, Mummy this gold brush is for me right? I asked him how old are you son? 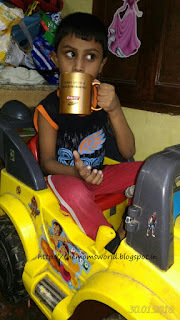 He said Mummy I am six now. I replied smiling broadly... yes my dear, you can take the privilege of using this gold brush, and he jumped out of joy showing all his 20 teeth. He took the brush out of cover, kept it in his brush holder, and started admiring it. It was time for dinner. We all had Poori and tomato curry, tasty it was! And what a surprise! Dany ate two full Poori so fast without making excuses and he reminded me to brush teeth before going to bed. Usually he tells lot of stories for brushing his teeth before going to bed. But that day was different, he went like a flash to take his new gold brush and secretly said something to the gold brush (I guess he would have introduced himself and said you are mine). He kept the toothpaste and started brushing his teeth. I was looking at him surprisingly. 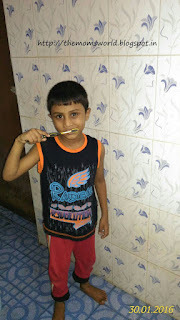 Once he was done with brushing and washing his face, he came to me, hugged me and said that the gold brush is very soft and it is very comfortable to hold the brush in his little hand and he enjoyed brushing his teeth for the first time it seems. 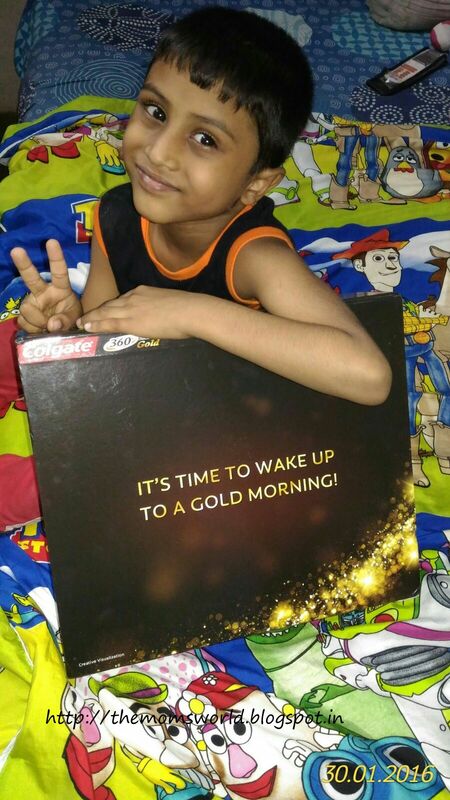 When we came to bed instead of listening to usual bedtime stories, he asked me to narrate the story of his new Colgate 360 gold brush. As I was explaining about the ultra-soft tapered bristles and the unique cheek and tongue cleaner kept on the back of the toothbrush head to enhance whole mouth clean in a language he understand, Dany was very eager to use those features in his new 360 gold brush. In the meantime, my little pleasure, Tina came to me and started saying her stories to us. That night we slept happily. The next morning, Dany woke up saying Gold Morning at exactly seven. 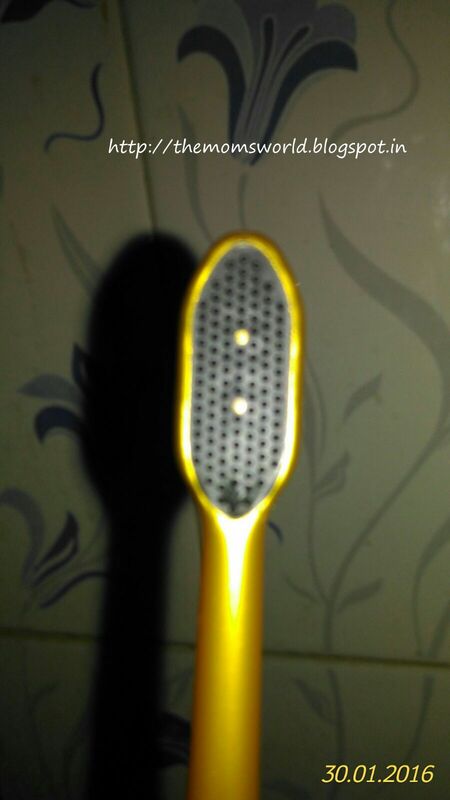 He brushed his teeth and quickly tried using the cheek and tongue cleaner feature at the back of his brush. After brushing, he saw his teeth and mouth in the mirror and said "Bye Bye Germs!" He enjoyed his coffee with the Gold Cup and kissed me twice for the Gold Cup before leaving to school. I am sure he would have told his friends and teachers about his new gold brush and its whole mouth cleaning features. His creativity and knowledge is something we admire the most. A few weeks ago, when we were at our construction site discussing about the doors, he came to us, and asked, “Mom, for this kids room, I want to lock with my finger prints, like I do in my tab. Maybe, we can also have access to Meena Amma (my mom). What do you say?” It surprised us. The level of detail he speaks surprises us a lot. 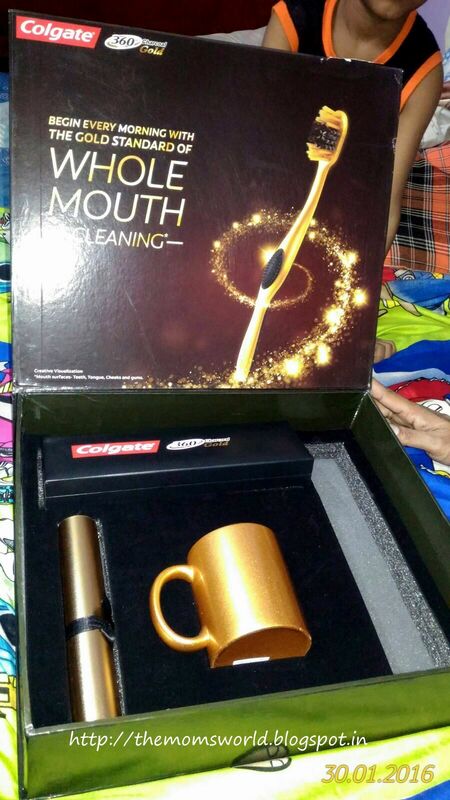 Thanks to the Colgate India team, for this wonderful opportunity and I really wish the golden flask was also there in the box! Bye for now. Coming soon with another interesting post. Till then Happy Blogging.